But I’m going to map out a specific plan that should help you target this exact prompt. A. First, you need to pick your topic: a quality, talent, accomplishment, contribution or experience. I would lean toward writing about either a core quality or an experience–which can overlap with the others on the list, and that’s fine. If you start out writing about a talent or accomplishment, it can be challenging to keep the tone humble and likable. I think it would be more effective to write about an experience that related to a talent or accomplishment—see the difference? My best advice would be to look for an experience that demonstrates one of your core qualities—two for one! Find your defining qualities HERE. B. Now don’t get too hung up on the wording of this prompt. That list–“personal quality, talent, etc.”–is mainly to help you brainstorm something to write about yourself. The biggest challenge with Prompt #2 is how outrageously broad this question is—it’s the curse of the blank page. Yes, you have to pick something–and get specific. Generality is essay death! Pick one core quality. Pick one experience. Just pick one thing! I have a great post (if I do say so myself) on how to write a personal statement using a story-telling style—perfect for relaying an experience and/or a core quality, as well as a talent, accomplishment, etc. Just follow the steps in my Jumpstart Guide. C. There is one red flag that I want you to be wary of—the requirement to say “what makes you proud” about what you choose to write about. In general, pride is not an attractive quality. Pride implies that you are the best, top dog, better than everyone else, the winner, all that. Humility works a lot better. You can still showcase your admirable qualities or experiences, but it’s what you have to say about them that will cast you in a likable light. Instead of stating something you did “made you proud,” I would instead focus on including your ideas/thoughts/opinions on what you valued or learned through your experience, talent or core quality. Check out my post on How to Be Likable in your essay (it’s really more about how to avoid coming across as unlikeable.). Another brilliant way to keep your personal statement humble and memorable at the same time is to find a “mundane” topic. D. Also, the final part of the Prompt #2 question that asks you to describe how your experience or accomplishment “relate(s) to the person you are,” is something you most likely will naturally cover in your essay without even thinking about it. One trick, just to make sure, is to include what you learned from the experience, accomplishment or talent, or what you value and why, in your personal quality. E. The secret to writing a terrific personal statement is to find a terrific topic. Check out this list of posts I wrote all about how to find the perfect topic. This post about how to write Prompt #2 for the UC application has more tips and advice, most of which are along the same lines as I’ve spelled out here. You can do this! Just read up on how to find a great idea, then just pick one and go for it! Good luck! See if this video from the UC Admissions Department helps. I think it might give you an idea of what they want from the two personal statements, but not a lot of how to deliver it. That part is left up to you, as far as I can tell. Another excellent way to find a great topic and learn how to write a personal statement is to watch my free online tutorial, How to Answer Common Application Prompt 4: What’s Your Problem? Even though I geared it toward a Common App prompt, this video teaches you how to write a personal statement that would be perfect for this UC prompt. Hint: There’s a strong chance you could use your UC Prompt 2 essay as your Common App essay, or your Common App essay for this UC Prompt. Just make sure the essay you write does answer the prompt, and don’t make it obvious you are recycling your essays. If you want more help focusing your topic, telling a compelling anecdote and writing a narrative essay, this guide works perfectly with most of the Common App prompts (especially 1,2, and 5) and other prompts asking you to write about yourself (such as Prompt 2 of the UC app.). It costs < $10 and you can order using the button below. Hello. I’m going to be talking about how being an athletic trainer at my school is considered important to me. Is that a good topic to talk about for this second prompt? If so, what should I talk about or include in my essay? Hi, I have a question. Would my Common App essay (answering prompt #1) work for this prompt? I want to minimize my essay-writing, but I don’t want to cheat myself, either. First of all, should I focus on a core quality or core qualities? I’m thinking of qualities that go hand in hand like insight, deduction, logic etc. But this prompt makes me a little confused. Do I have to write about a quality that made me proud or can I just stick to a personal statement. As you know I attempted prompt4 in common app that helped me in the first UC prompt, this is a whole new ball game. Im inclining towards a core quality supported by an experience. But I don’t know about the whole “proud” concept. I am sajib. in my personal statement there is a same question like what u descibed above.they also want a personal talent and how it related to you.but i am very close to my application deadline. so if you send me a easy which include insightful talent i would be so grateful man. Hello. I am wondering if “hard-working” would be suitable for this essay; I consider “hard-working” as a a notable quality of mine, but it seems as if the quality would make for an unoriginal essay. What kind of experience would be appropriate for displaying this quality? I actually have another question, too. Is the narrative supposed to span the entire length of the essay? I ask this for both UC prompts, and I ask this because I’ve seen some people’s essays on the internet—some of the essays talk about an event/”story” for the entire length of the essay! I was thinking about writing for this topic about the time i face-planted jumping over a pole. My brothers and I were competing and my brothers both cleared the pole and being the competitive person i am I attempted to jump the pole and fell right on my face. As a result i had a big scar on my face for weeks.I thought this would go under the category of “an experience”. I would talk about how i am a really competitive person, especially with my brothers and my family and how i am also a really determined. I thought this topic was good because it is a mundane topic that shows humility but can also show a big piece of who i am today. I am not particularly “proud” of this specific incident, but i am proud of my determination and strive to always be the best i can be. Would this topic work well for this prompt? Hi, I am currently writing my Prompt #2 and have no idea what to write about. Nothing comes to mind at the moment and I am starting to get very anxious. My teacher wants our Personal Statements due tomorrow and like always I left it for the last minute… (PROCRASTINATOR). I will not be applying until 2 more years but he still considers this an assignment, can you please help me brainstorm? I wanted to write my prompt on how cross country is important to me, and how i had a bad season. But in that bad season i took the liberty of helping out my competition during regular meets and helping them achieve a better season time. Would this be a good idea? Hello! For my common app essay I did the prompt about an environment you are most content in. I did scuba diving and was wondering if it would be a good idea to use that essay and adjust some parts(make scuba diving as my experience) so I could use it for this essay prompt? Hi, I was thinking about writing about a peaceful protest that I was a part of. It was related to my culture and supported the people of my family’s home country. I’m not sure exactly how to start the essay and what qualities that i could write about that college admissions officers would like to see in an applicant. All i could come up with was passionate, and also that the experience taught me to stand up for what i believe in and not be afraid to speak up and express my opinions. do you think this topic would work well for this prompt? Hi there, I am wondering if talking about a specific time when I played the role of the “Nurse” in Romeo and Juliet as a junior at my school would fit this prompt? I had never had a speaking role prior to this experience. Hi, I was just wondering if it’s a problem to talk about similar qualities in the two essays. For example, In prompt #1, I talked about my dancing ability and my photography interests; Is it wrong to allude to those qualities in prompt #2? Hello! I plan to write about the fact that I am a first generation college student, and as a result I am very self-disciplined and a determined individual. Is there any way that I could make this work? thank you! Hi! When I think of my personal qualities, I can’t help but get stuck on my unusual name and equally unusual curly hair and how it has truly shaped my life. Is that appropriate for this essay? Is it irrelevant to talk about the death of my brother and how it transformed me for prompt 2? Hey!I was wondering if writing about weight issues is a good idea (I lost about 50 pounds in two years? I have finished my essay but I’m afraid that it wont impress the readers. Should I write about something more academic instead? Currently, I’m studying at an international school in Vietnam. Since Vietnam public schools don’t have the houses separation, I was really amazed when I approached that system. I’m planning to tell about my accomplishment to become a house leader after 3 years of waiting and dreaming. I will describe my school’s sport day because it could help me show my personality through my leadership. Could you guide me to tell and especially show this accomplishment in the essay? Could you specify what I should do in each paragraph? I wanted to know, would it be relevant to talk about an internship I did in a garment factory in India this past summer. And how it broadened my horizons on how business in India works and how the day-to-day life of a poor laborer is. Basically this internship made me realize how much struggle and hardships are put into making clothes and other products we American consumers use everyday. And this internship also made me embrace my own Indian culture even more as I was able to understand and see my culture and heritage first hand living in India for 2 months. Hello! I’d like to start off my saying how incredibly helpful this blog has been for me. However, I’m having difficulty separating the two UC prompts from one another. For the first one I am writing about how cancer has made me who I am today, as my mom passed away from it about a year ago. For my second statement, any time that I think of a truly meaningful quality or experience I’ve had, I can’t help but relate it back to cancer (ie. my quality of optimism, or my experience participating in the Susan G. Komen 3Day Walk). I don’t want the essays to be too similar and definitely want to be able to use them to help the admissions officers understand as much about me as possible. But how do I separate the two essays? Thank you so much! Hi – thanks for the awesome information. It’s really helping me focus. For prompt two, I’m thinking of using my school trip to Costa Rica as an experience – first time out of the US, with both cultural and educational components. The experience really moved me, and made me realize how lucky I am to live here…but also made me appreciate the diversity I encountered. Thoughts? can my prompt 1 and prompt 2 responses be similar? I have an extra curricular that I’m very passionate about, so can I write about it in both my “the world I come from” and my personal statement? 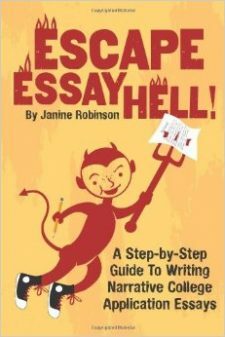 My advice would be to only write about the extra curricular passion in only one of the essays. Use the other essay as an opportunity to showcase something else about yourself. These two essays should be what’s called “complimentary,” which means they fit together but almost have opposite topics/themes/etc. For example, if one is more serious, consider writing the other with a more lighter tone or topic. Or if one is about your passion for singing (which is an interest or talent), consider writing the other about your background or a personality trait. The idea is that you balance them out by choosing different elements. If you passion is football, I definitely would not make both topics about football. Would it be good to talk about my experiences spending summer vacations at my grandma’s house in Mexico as an elementary school kid? I saw how different society was there than the always busy Los Angeles, California that I live in. I’m also going to say that I’m not proud of myself, but of my family because I witnessed the circumstances they came from when moving to the US. And I noticed that my grandma still has a “poor person mentality”, and it affected me because I have developed similar qualities. Does my name count as a personal quality? I have a lot of great ideas to include in an essay about my name but I’m just not sure if it’s appropriate for the prompt? I was wondering if I should write 2 different anecdotes for the two UC personal statements. I worry that it will seem like some sort of gimmick if I do it twice. Would that be a problem? can I write about scuba diving? specifically, i wanted to start how I was initially disappointed with the diving site, and then found out the beauty in it. I would highlight how I am a very analytical person and can find the silver lining in it. Another option would be the fact that I took AP lang and comp as an exchange student to the USA, and it was really hard because i could not speak english well. Then I passed it with a 5, which was a great accomplishment for me. Or even how I was pretty terrible in english in middle school, but in high school I worked hard and improved greatly.